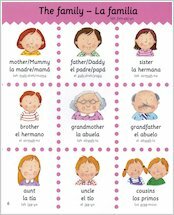 It’s never too soon to start learning a second language. 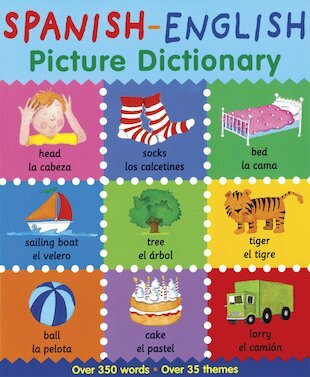 This book is filled with cheerful color pictures that help teach Spanish words to young English speakers. It presents more than 350 illustrations of familiar objects, with nine pictures on each page. 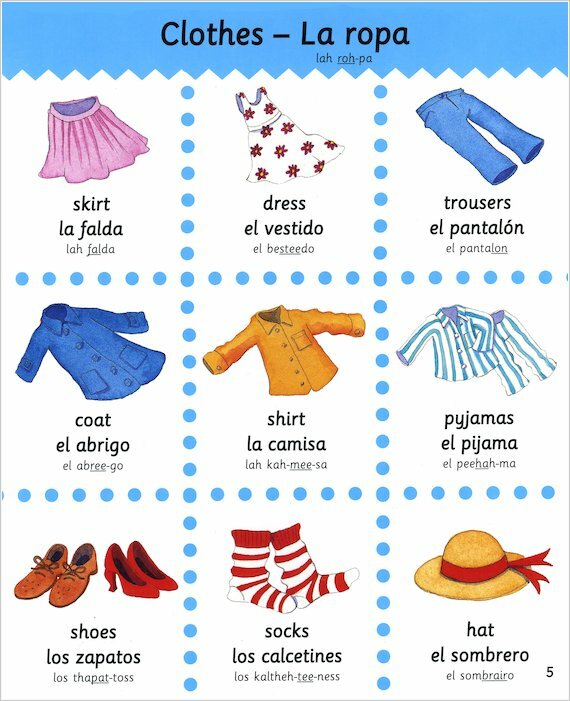 Every picture is labelled with its English word, followed by its Spanish equivalent. 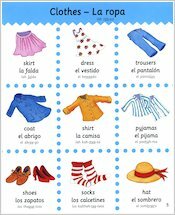 The translated word is followed in turn by a phonetic spelling in smaller type. 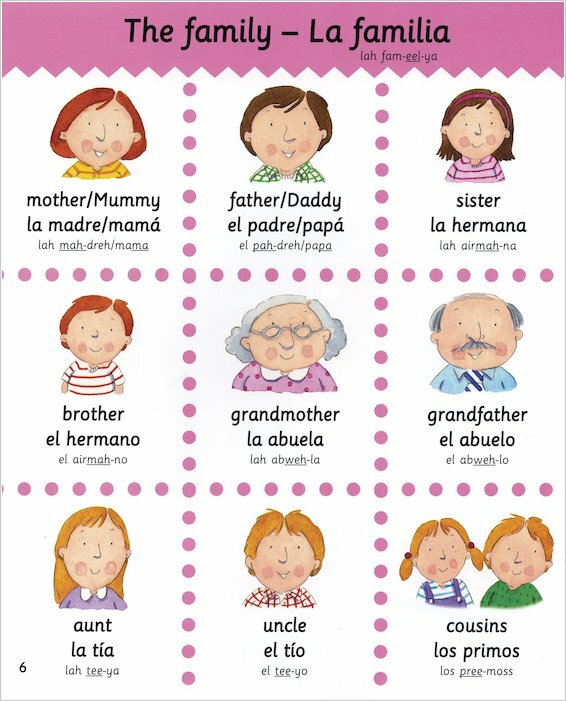 Words are grouped according to themes, such as sports, school, fruit and vegetables, party time, weather and more.